Marburn Academy’s central goal is to provide the finest schooling for students who learn differently. With that in mind, we design our instruction to neurologically match the learning needs of our students. • progress is measured by improvement as well as mastery of skills. 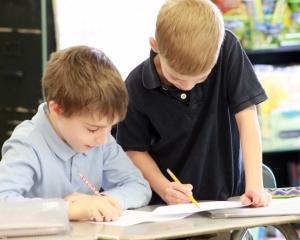 All Marburn Academy Lower and Middle Division teachers are extensively trained in Orton-Gillingham instruction, widely recognized as the preferred approach for teaching reading and writing to students with dyslexia. A key element of instruction at Marburn is also teaching self-management skills to students with ADHD. We use inquiry-based activities to engage students with a topic, sound out concepts, build upon previous understandings, and provide a base for further exploration. This allows our graduates to be prepared for the challenges and choices they will face as citizens of the modern world. 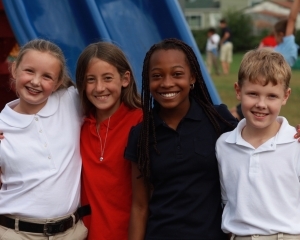 With a wide range of options, the Marburn Academy program encourages all students to discover their gifts while challenging them to develop their unique talents. Hands-on classes weave experiential learning projects into thematic social studies and science units. Classes in studio art, music, drama, robotics, self-awareness, and digital media/technology foster creativity. Voyageurs outdoor education adventure trips stimulate personal development, build confidence through exciting personal challenges, and foster the growth of leadership skills. Intramural and interscholastic athletics develop skills and build teamwork. It is these core components that have resulted in Marburn Academy being recognized as one of the top schools in the country for bright students with learning differences. The Orton-Gillingham approach is a carefully sequenced, systematic, multisensory, and diagnostic instructional process that builds upon intensive practice of the sound/symbol system of language. 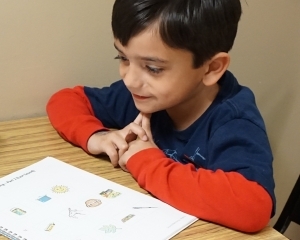 Marburn Academy is one of only 15 schools in the United States to have its language instruction program accredited by the Academy of Orton-Gillingham Practitioners and Educators. Key elements of this approach are integrated within Marburn Academy’s language curriculum. Individual Orton-Gillingham tutorials are available throughout the school year and in the summer program. Marburn Academy also provides Orton-Gillingham training programs for professionals.